Where should you be selling your products? With online marketplaces like Amazon, eBay and Etsy, you may feel compelled to sell your products through high traffic sites. However, if you’re looking to grow a sustainable business and create your own marketable brand, you need to have your own online store. Let’s take a look at the pro’s and cons of online marketplaces. I’ll also explain why having your own online store is key for ecommerce marketing and customer acquisition. Marketplaces have a huge online presence and get a ton of daily traffic. Amazon alone has over 244 million active users! With this large of a customer base, you’re bound to see an increase in your sales. Ebay gives you access to over 149 million global buyers which gives you access to international markets. Other Marketplaces like Etsy give you access to a large, yet targeted customer base with an emphasis on handcrafted and artisinal products. Marketplaces will put your products in front of more potential customers. Actually selling to customers on these sites is a different story. Marketplaces have been developed to host a large variety of products with the ability to host, reach, and sell to a massive amount of buyers everyday. Customers go to marketplaces for the convenience of an all in one shopping experience, product comparisons, and streamlined checkout. They also make it extremely easy on the seller side because the marketplace handle the entire transaction. When you go to a marketplace like Amazon or eBay, there is a sense of credibility and trust because they have been serving customers for quite some time a proven system. It’s a safe bet for a customer to buy from a marketplace because it is familiar. Setting up shop in a marketplace comes with a price. Most marketplace fees are deducted from your revenue as a percentage of each sale. These fees vary from marketplace to marketplace and can amount to as much as 25% of a sale. Before you decide on selling in marketplaces, know what your margins are and have a good understanding of the marketplace’s fee structure. If you’re selling a low-margin product, it may not make sense to place your products in a marketplace. A large customer base is obviously going to attract a bunch of sellers. Since it’s so easy to sell through these marketplaces, expect a ton of competition from other sellers and then some more from the marketplace itself. For example, Amazon let’s you sell to its customers but Amazon also has its own inventory and its own products that they are pushing to customers. When selling on a marketplace, you have to be know that your products may get lost in the crowd and you may not get the exposure that you expect. Marketplace sites don’t exist to help your brand, they want to better their brand. Because of this, all of the focus is on the products and not at all on the sellers. Yes, you can search by brand on Amazon and you can visit a particular eBay store within eBay’s marketplace, but stores can’t brand these pages. These pages are just extensions of the marketplace and it distances the buyer from the seller thus limiting the ability to display and strengthen your brand. When a purchase is made on Amazon, all customer information is handled by Amazon and no information is passed on to the seller. Yeah, you made a sale, but you didn’t acquire a customer. As a seller, you need that information for retargeting purposes in order to drive future sales. eBay and Etsy do release information to sellers but they ultimately have control over what information is transferred to sellers. By having an online store, you can gather valuable customer information and choose how to use it for ecommerce marketing purposes. Having your own ecommerce site gives you the freedom to present your products how you want to. Create a brand and market to your visitors how you want to. This is your opportunity to create the shopping experience that you want for your customers. Create a blog, have product videos, or display new products. This is your chance to get creative and sell your visitors on why they should buy from you. With shopping cart platforms like Shopify, BigCommerce, and Magento, its a piece of cake to set up an attractive, well designed site to sell your products! This is the most important aspect of owning your own online store and this is what will allow you to have sustainable long term success. When a purchase is made, you receive all customer information and you officially have acquired a customer. Now it’s up to you how to target and market to these newly acquired customers. Take control of the promotions on your products. Ecommerce promotions give you some versatility in that there are many different ways that you can use them to your advantage. Promotions can be used to boost sales, build your customer base, and clear out excess inventory. Promotions are an excellent way to increase sales conversions and build brand loyalty. Justuno provides you with all of the tools to create and run onsite promotions and acquire emails and social fans! Need some promotion ideas? 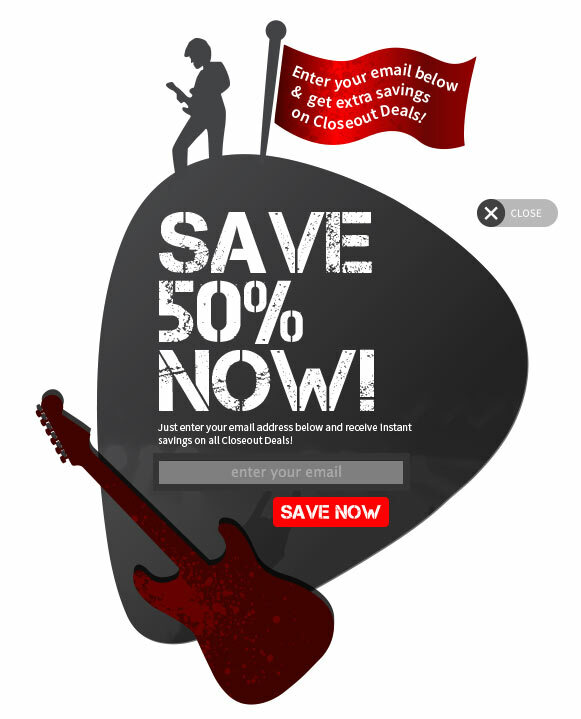 Check out 7 Ways to Optimize Ecommerce Conversions with Onsite Promotions. Marketplaces can be great for getting traction and getting some sales but you can’t just be selling through a single, restricting channel. 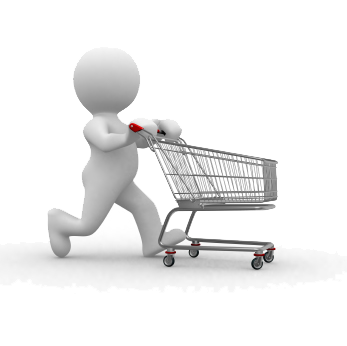 A stand alone ecommerce site is absolutely necessary if you are going to be selling online for the long term. I cannot stress how important it is to acquire your own customer base and brand/market your store and products the way that you want to. Take control of your brand, products, and promotions. Start your own ecommerce site today! Justuno is a suite of tools for e-commerce and publishing that gives you the ability to create and manage incentivized promotions allowing you to increase sales conversions, build your email list, and get social fans! The Dashboard also includes behavioral targeting rules, exit intent offers, and customizable tabs and pop ups. Justuno can seamlessly integrate with any website and email client making it easy for you to set up your always free account today!